Welcome to Tosho part 2! In this post, I’m going to talk about how to cut, create pads and show some before and after of more refined Toshos. 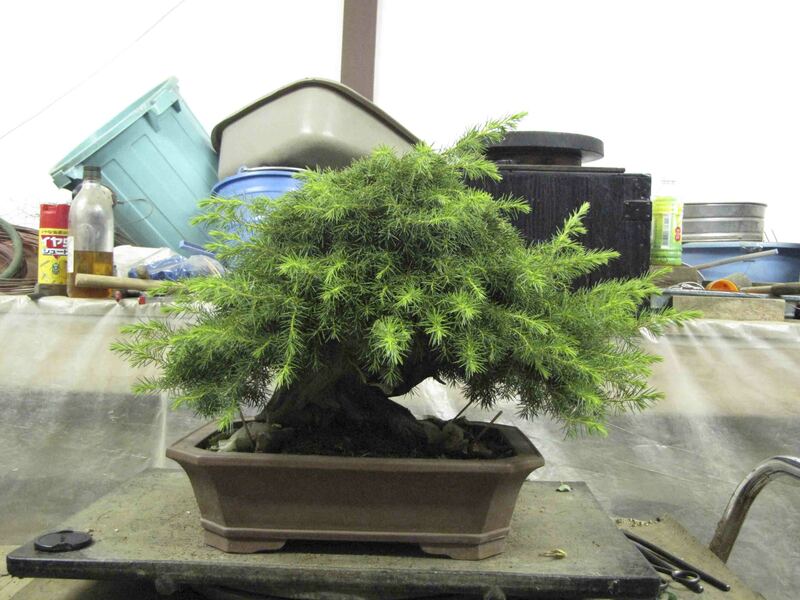 Here is a typical small Tosho branch. Note that there is a brown woody section and a longer green section. If you need to cut back to the woody section, the following picture shows where you can cut to. Note the point that was cut. If you click on the picture and expand it, you can see that one of the needles has a small little bud at the base. If you need to cut back to the woody areas, you need to cut back to a point where there is either a bud like this or another branch. If you cut to the woody area and there is no bud or branch, the needles will start to die back to the next bud or branch. Just because you leave needles doesn’t mean the branch is going to live. If the branch is exceptionally strong and you cut back to only needles, there is a chance that a bud will push out, but there is no guarantees. 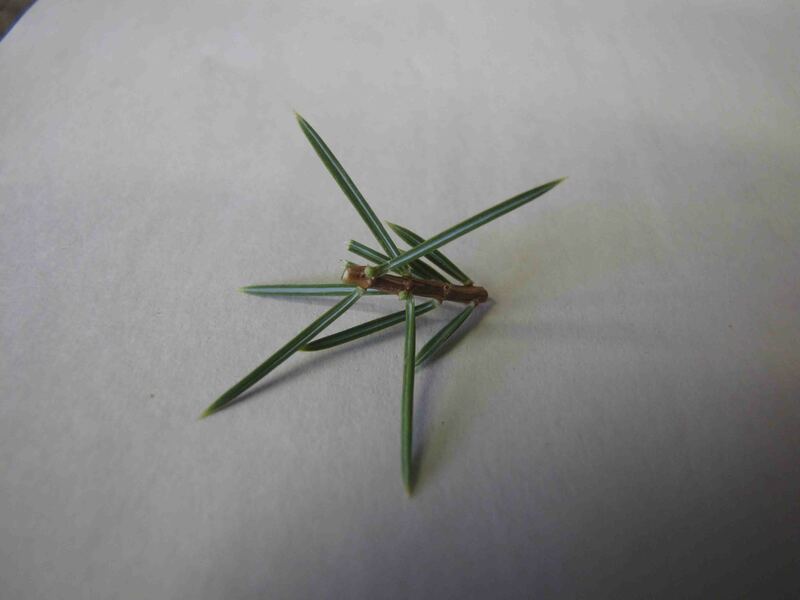 If you cut a shimpaku branch back to a small bud like this, the bud will die off and the branch will die back. 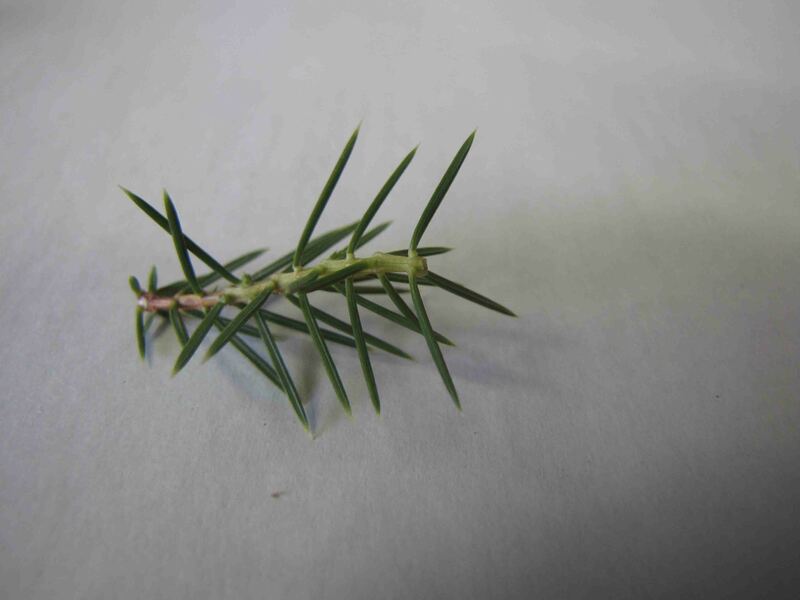 Tosho is the only juniper that I know of that you can cut to a tiny bud like this. This next example is if you only need to cut to the green section of the branch. Again you can see that there is a green and brown section. The green section is the new growth this year. If you cut anywhere on the green section, regardless if there is a bud or not, new growth will push at the cut point. When the tree is refined, the cut point will be very close to the brown area and just a small portion of the green is left. This way, the tree stays in shape and continues to grow. Creating pads on a Tosho is similar to Shimpaku. You want to create mulitple fan shape pads that have some density and volume to them. The exception is that Tosho branches tend to be placed a little closer together and the pads are flatter then Shimpaku. Here are some examples of the fan shape. Here is pruned pad. There is a nice fan shape to it and you can see that there are many branches beneath it that creates this pad. 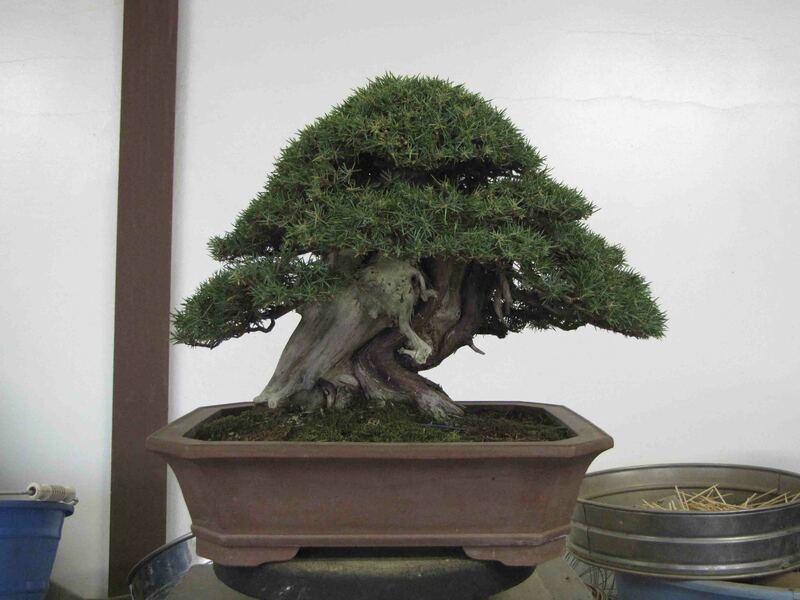 Many times, bonsai enthusiast will create a pad similar to this but only use a few branches to do it. The exterior of the tree will look okay but the interior structure will be faulty. Trees do not grow pads from a few branches. They grow pads from many, many, many branches. 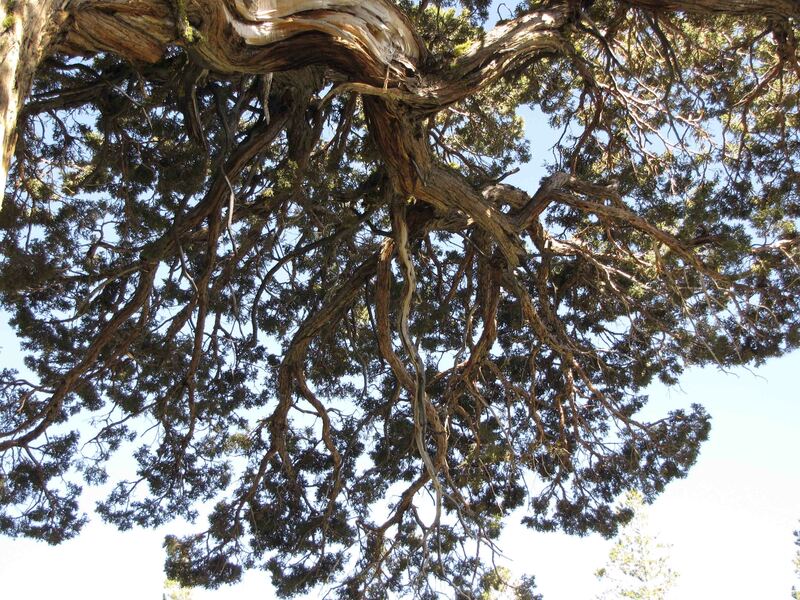 Here is an example of a naturally growing Sierra Juniper. Underneath, the canopy is supported by a massive branch structure. Also note the outline of the foliage. They too are fan shaped. But Peter, doesn’t working on Tosho hurt? 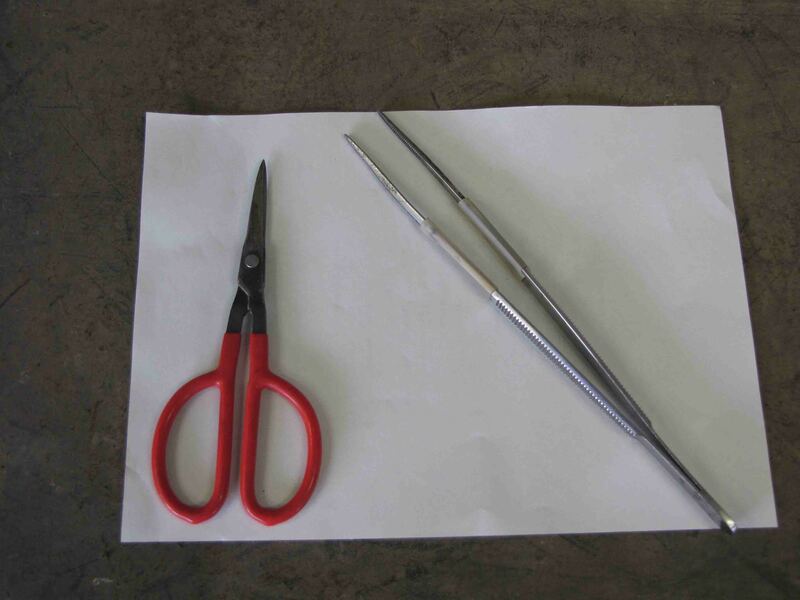 Here is a picture of the tools I use when I cut Tosho. If you’re right handled, you use the tweezers to handle the foliage with your right hand and use the scissors with your left hand to cut. It’s tricky and awkward at first, but after awhile you will get use to it. You just have to force yourself to stick to it. I’ve gotten to the point now where if I use the scissors with my right hand, it’s starting to feel strange. I use this same method working on Japanese Black/Red Pines. Using the two hand technique also keeps your hands very clean. 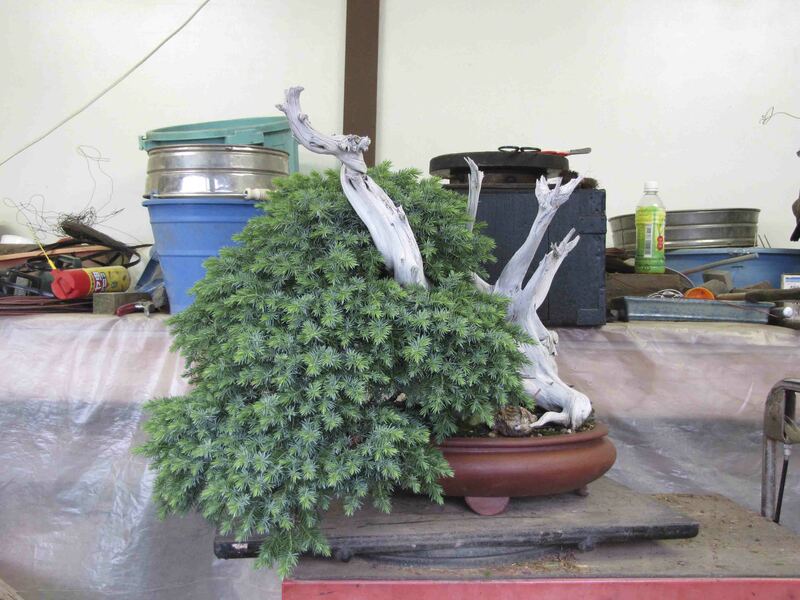 Here’s are a few before and afters to show why Toshos are nice trees to have and worth the time spend working on them. I hope you all enjoyed this post and the new setting for my blog. I like the grafing idea, thanks for the suggestions. It is nice to hear about a quarantine, that will be great in the future. 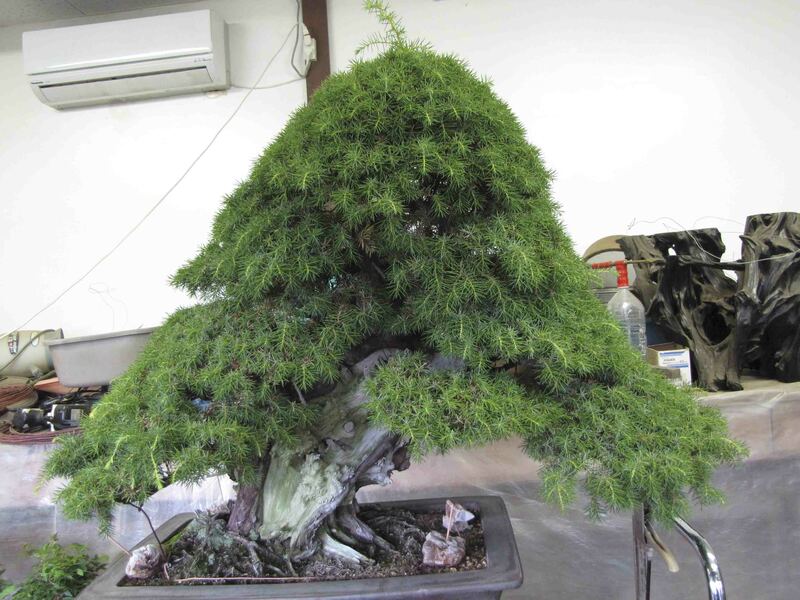 Hi Peter, great post, I really like the look of Tosho junipers. Those trees are amazing, I really like that last one also. 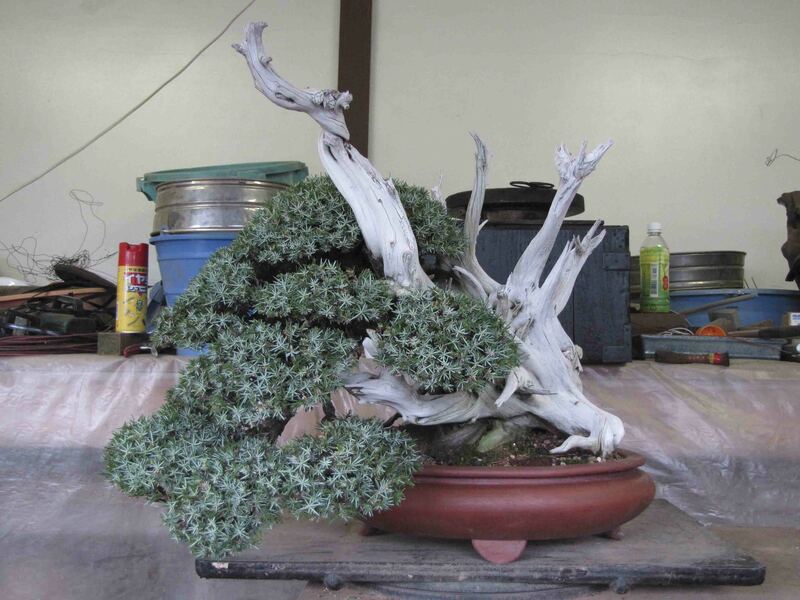 So can Tosho be grown from cuttings like other junipers? I noticed that I rarely see them in the US and am thinking about growing some. Any tips would be appreciated. 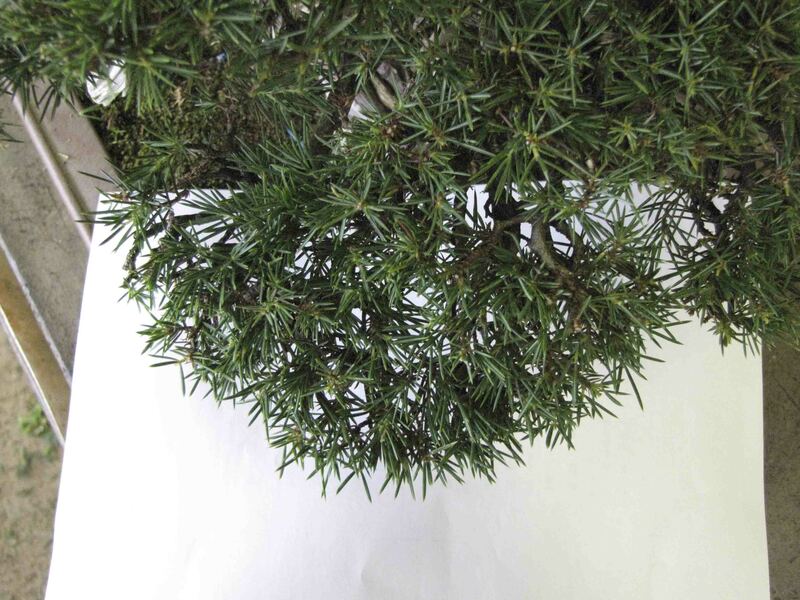 I’ve seen people grow tosho from cutting before but like most junipers, they are mostly collected. The collected ones will have the old deadwood features that are sought after. Needle junipers are not very common but sometimes you can find some. 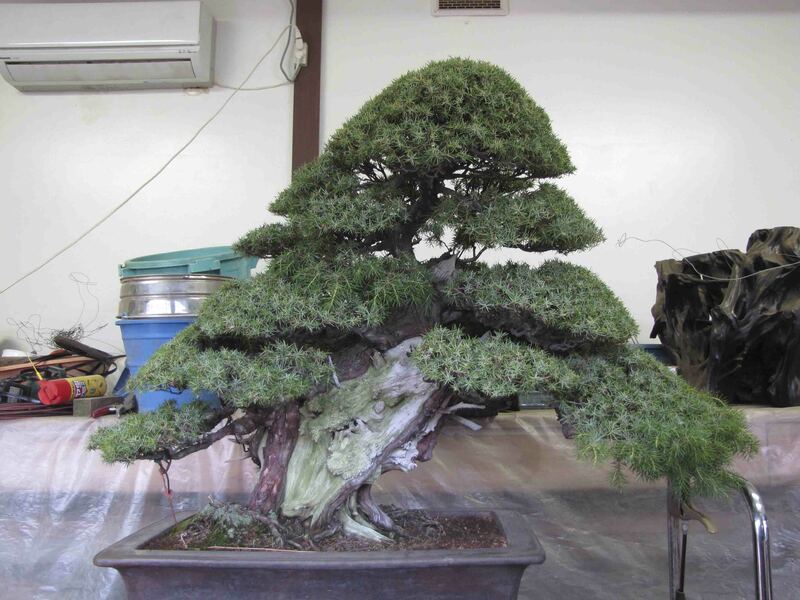 I think the best way at this point is to find a juniper that has good deadwood and age and graft needle juniper on to it. That or import some to the US. We’re currently working on setting up a quarantine so perhaps in the future that is possible. 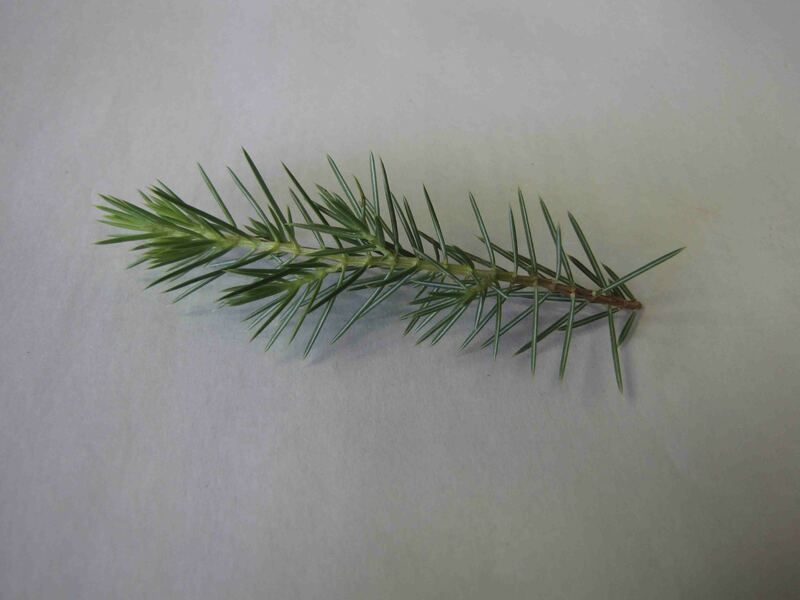 You can also try working with Foemina which many call needle juniper also. I’m not 100 percent sure they can be pruned like a Rigida(Tosho). Experiment and if foemina doesn’t like the cutting tech for Tosho then treat them more like shimpaku. Thank you Peter, your blog is outstanding and very informative. I always look forward to the posts. Thanks everyone! I’m going to have fun posting on wordpress. The post are coming out very nice. Peter it is good to see that you switched to WordPress as it will make your life much easier to post. I will also add this link to our blog. Happy Posting! Thanks———–great advice. The Toshos look fantastic !